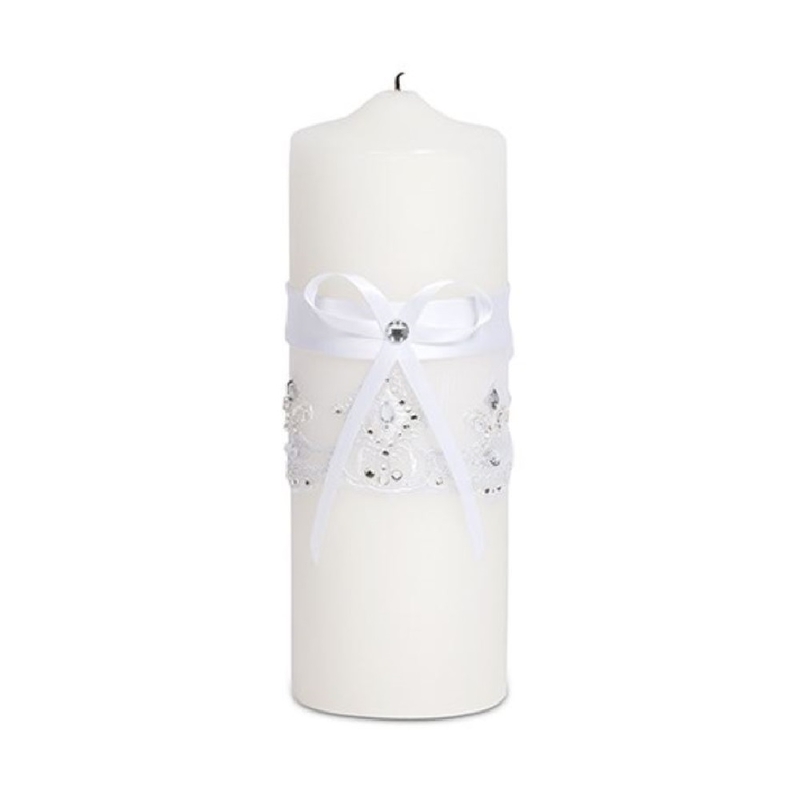 Unity candle wrapped in silk ribbon and lace measures 3' x 9' H. Lace is marked with jewel embellishments for a decorative appeal. Decorated with delicately fabricated lace and wrapped up in a silky ribbon, this candle symbolizes unity and a newly shared bond. To accept someone as part of your family is a very huge, very important decision to make. Lighting a unity candle during a wedding ceremony is an act of promise. It is a promise to take responsibility not just for yourself, but for your spouse as well. A successful marriage comes from honoring that promise so keep that fire ablaze.